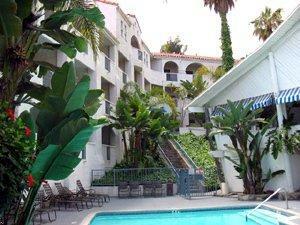 Choose from our wide selection of hotels located in and around Catalina Island. Whether you’re looking for budget hotels, resorts, or luxury hotels, you’ll find the best accommodations at the best prices. Stop wasting time and make your reservations online now! Catalina Island is California's island getaway! Located just off the coast of Southern California, Catalina Island and the town of Avalon are a convenient escape. Some activities that you can enjoy include golf, deep sea fishing, glass bottom boats, world-class diving parks, snorkeling, biking, hiking, swimming, shopping, horseback riding and so much more.